Be ready for a photo heavy post! 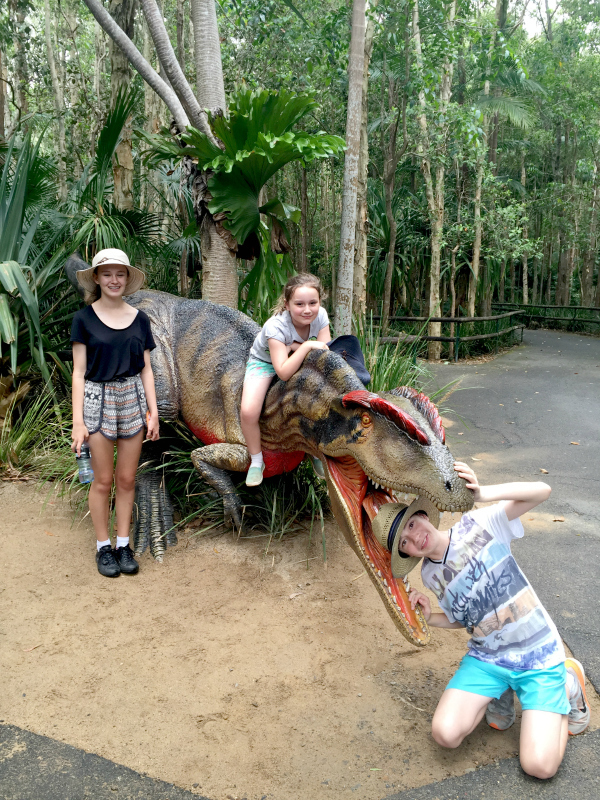 Today we drove up to Beerwah to go to Australia Zoo. 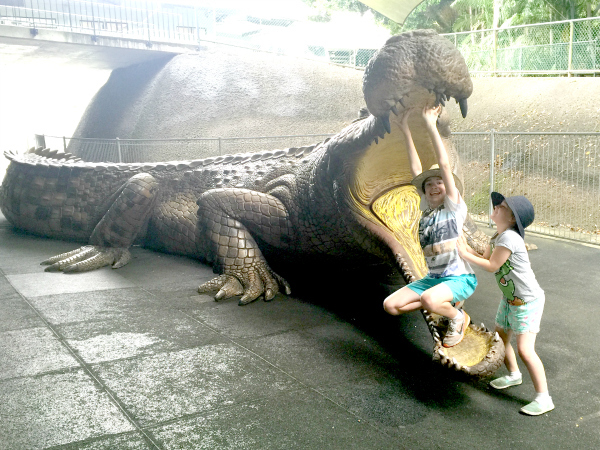 It was in peak hour traffic so it took ages. 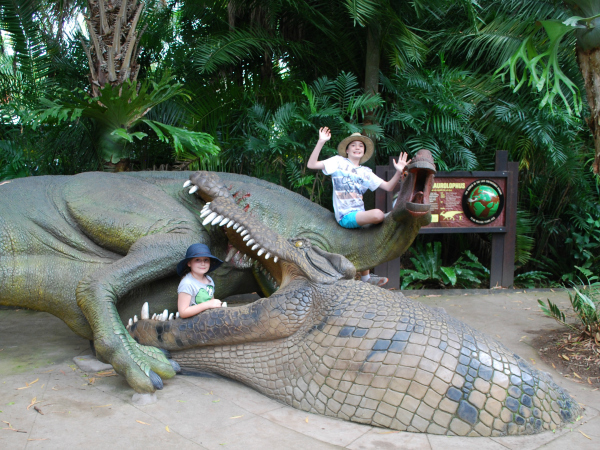 Now, Australia Zoo is pretty expensive to enter, however, when you actually get into the park, you can see exactly where your money goes. 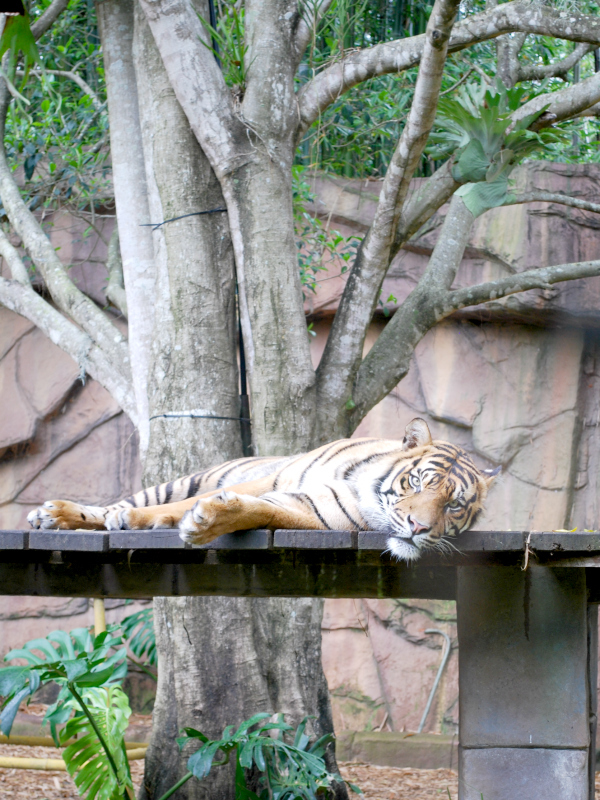 This is an excellently maintained zoo with fantastic enclosures. 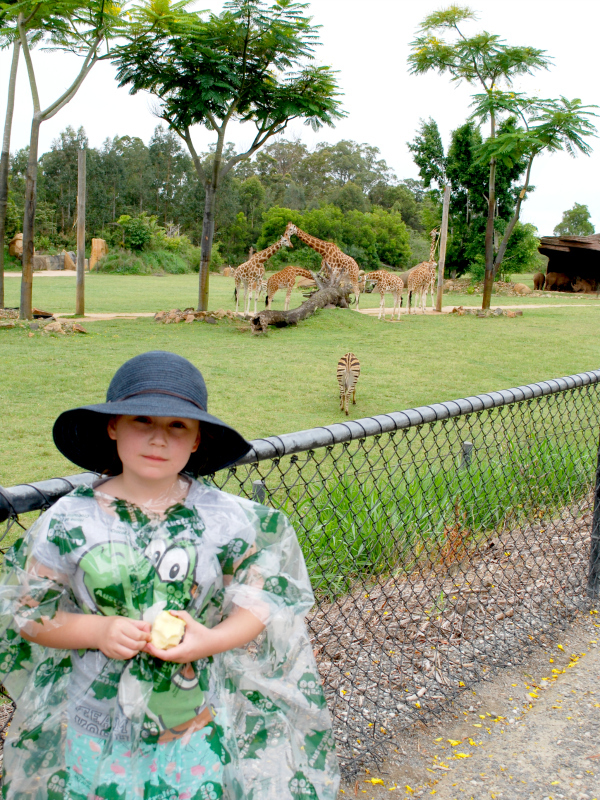 The zoo is just so clean and we were lucky it was drizzly because visitor numbers were quite low. 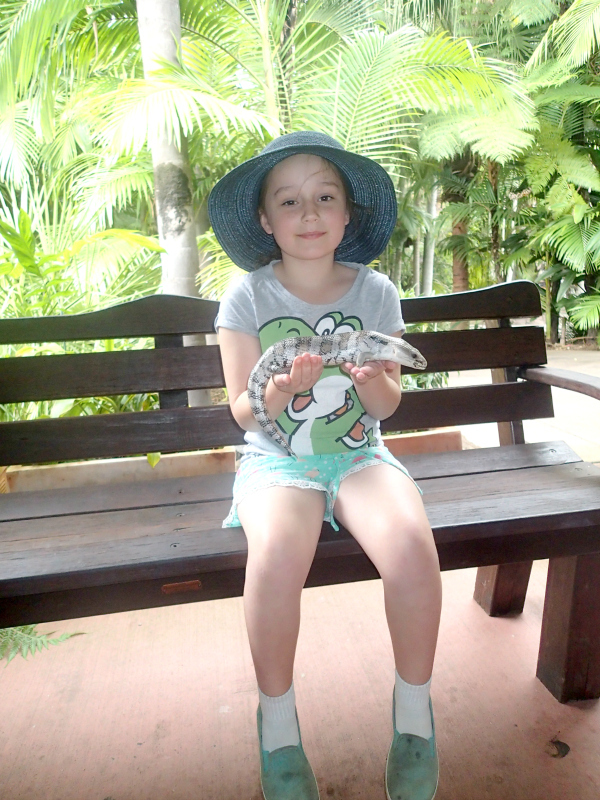 Amy got to hold a blue tongue lizard. 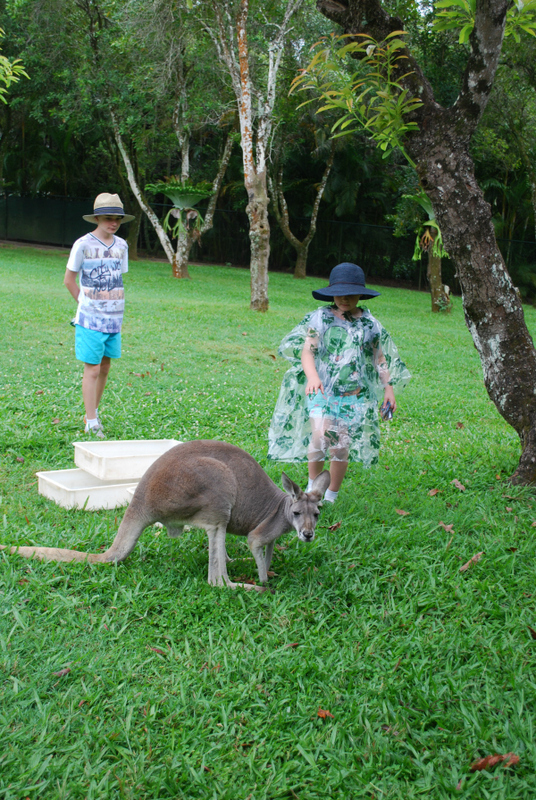 We got to pat kangaroos. 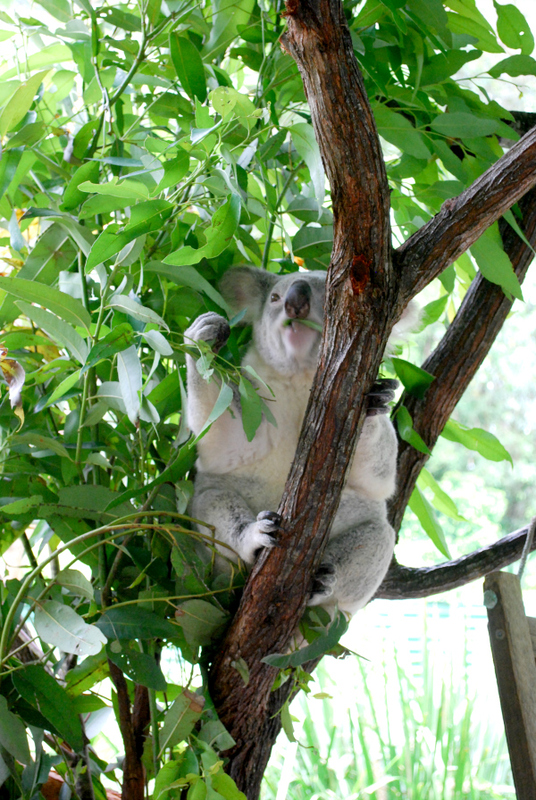 We got up close and personal with a koala. 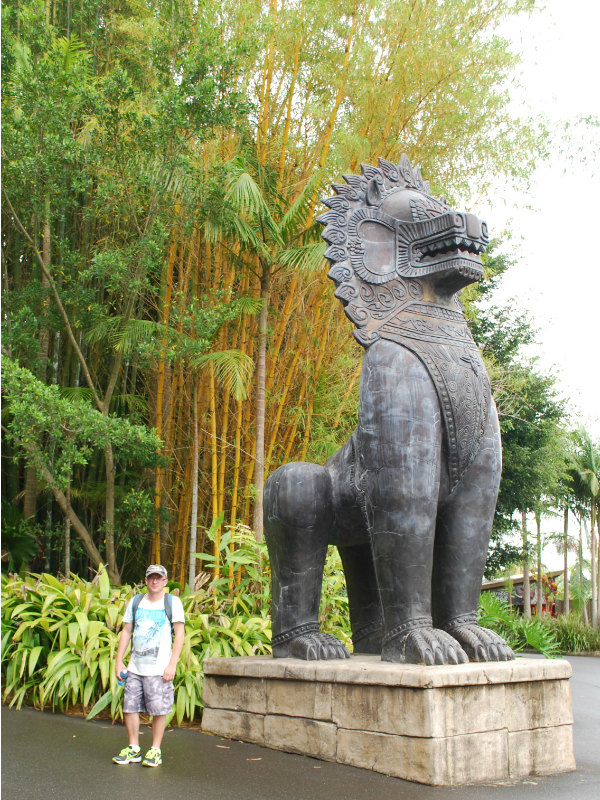 There were some amazing decorative pieces that tied in well with the Bengal Tiger enclosure. 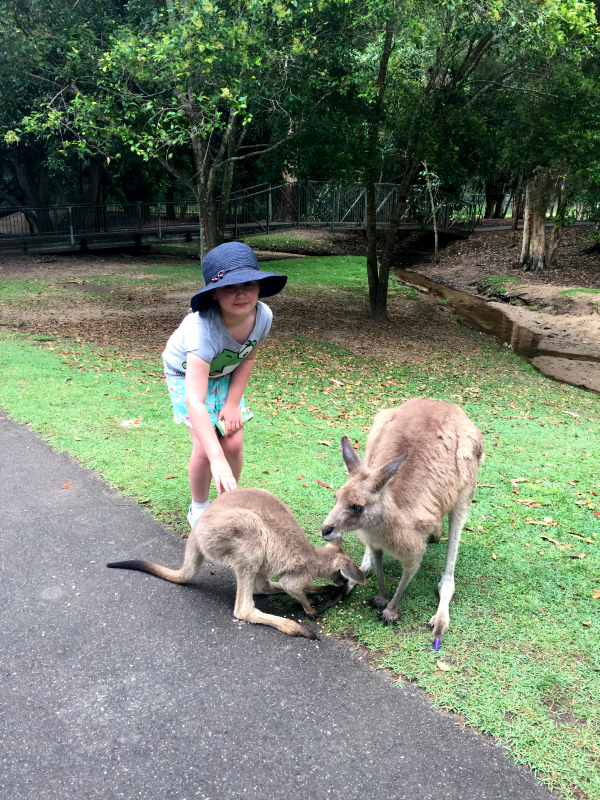 We saw the safari animals. 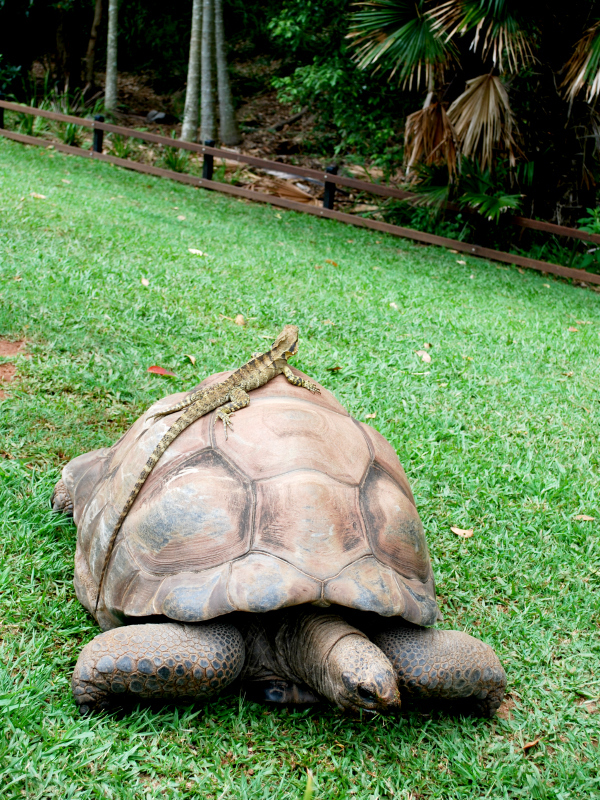 And some animals hitching a ride. 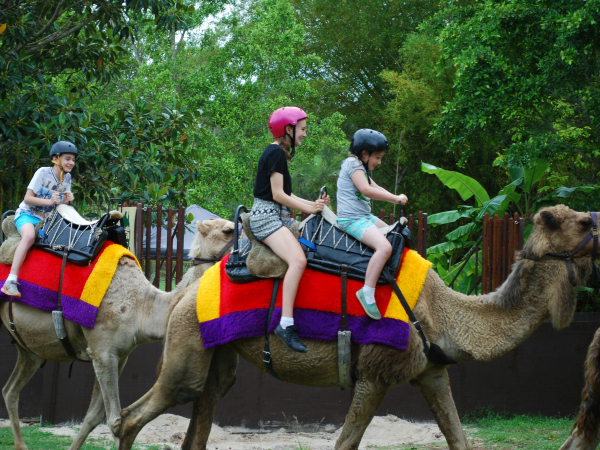 We got to have a ride on a camel. And we ended up with way too many of these types of photos. 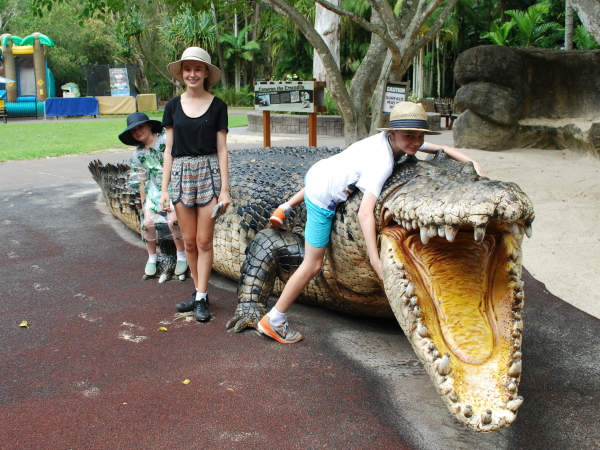 We also saw a bunch of crocodile shows. The main arena show was amazing and I highly recommend it. 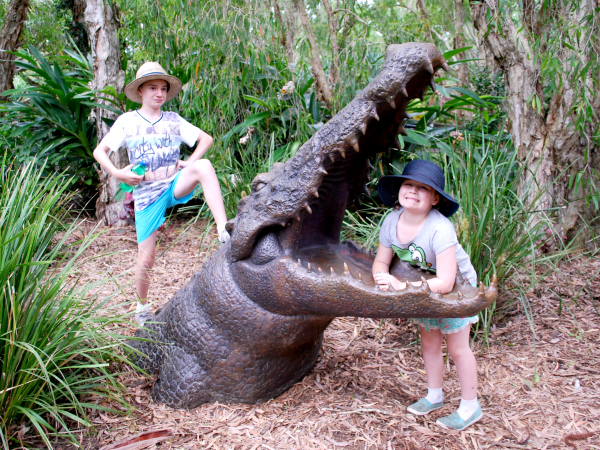 It pays such a lovely tribute to the late Steve Irwin. 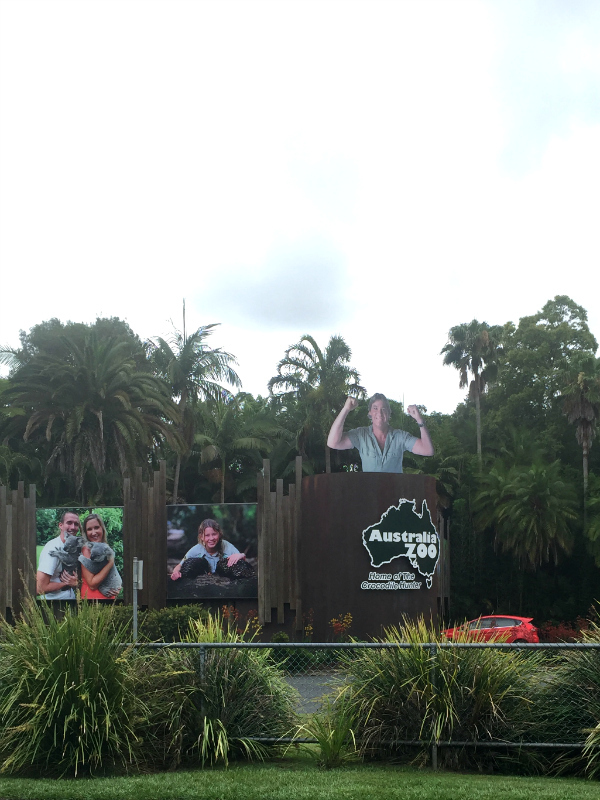 Well worth the drive and I think this is my new favourite zoo. I think I'll leave the second part of day 4 for another post.